When you and your spouse agree to part ways, you can file for an uncontested divorce or a contested divorce. An uncontested divorce is when the two parties agree on the terms without taking it to court. 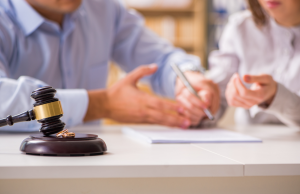 As a Tampa divorce lawyer, we understand there might be disagreements, but if you can settle the common issues without taking your case before a judge, then an uncontested divorce is the way to go. We listed out the three matters couples need to agree on below. Division of Property and Debt– You and your spouse must agree on the division of marital property and debt. Whether you decide it will be equal or based on income, both parties must be able to come to terms on their own. Custody- Deciding who will be the primary caregiver for any children can be a challenge for many couples. You can choose joint custody or sole custody. Support– Depending on income, child support and spousal support must be taken into consideration. You can decide on the amount and the duration with your spouse. If you can come to an agreement on the three items above, then you should file for an uncontested divorce with a Tampa divorce lawyer. Reach out to our law firm at (813) 280-2911 to schedule a consultation today. This entry was posted in Divorce and tagged Tampa Divorce Lawyer on September 14, 2017 by HV SEO.